News Bite: The effective management of migraine requires a careful assessment and diagnosis. Avoid medication overuse and incorporate nonpharmacologic therapies. Always remain open to the possibility of an incorrect diagnosis. Effective management of acute migraine begins with a careful assessment and proper diagnosis, followed by stratified — rather than stepwise -- use of available therapies, a headache specialist said. 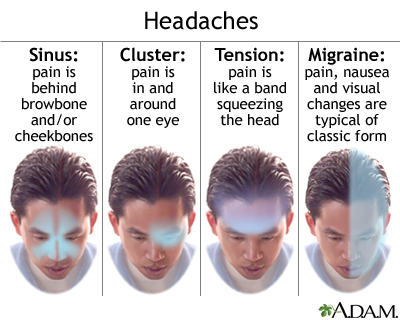 Treatment should begin early and emphasize strategies that avoid medication overuse headache (MOH). Medication combinations and nonpharmacologic therapies all have a role in appropriately selected patients. “When pondering what treatment path to go down, stop to consider what patients want. It would seem obvious -- not to have a headache -- but they want more. They want one thing much more than to escape their worst headaches. They want a diagnosis to make sure they aren't harboring some life-threatening illness. After that, the very next thing they want is to escape from their worst headaches ever. Not the mild or moderate headaches, but the worst ones ever." Even after deciding on what path to follow, remain open to the possibility of an incorrect diagnosis. “My approach is to go down a path, but always keep my eyes open and keep thinking." Alternative therapies that have demonstrated varying degrees of efficacy for treatment of acute migraine either alone or in conjunction with primary treatment, including relaxation, cold compresses, massage, acupressure, and aromatherapy. Common reasons for failure of acute migraine treatment have been documented. They include incomplete or incorrect diagnosis, overlooked exacerbating factors, inadequate drug dose, inappropriate route of administration for therapy, and unrealistic or escalating expectations.